Is there anything you can't make in a Keurig? As far as we know, you still can't make lasagna but, besides coffee, tea and hot chocolate, the list of menu items keeps growing. Campbell's is making a line of soup for the Keurig, and Coca-Cola says it's working on soft drinks that would be produced in a cold-water Keurig. And now the latest: oatmeal. General Mills, lately reviled for its short-lived you-can't-sue-us policy, says it is brewing up a batch of Nature Valley oatmeal that you can heat up in your nearest Keurig machine. Is this really necessary? You can already brew up a batch of oatmeal by adding hot water to the contents of a single-serve envelope. How much easier can it get? 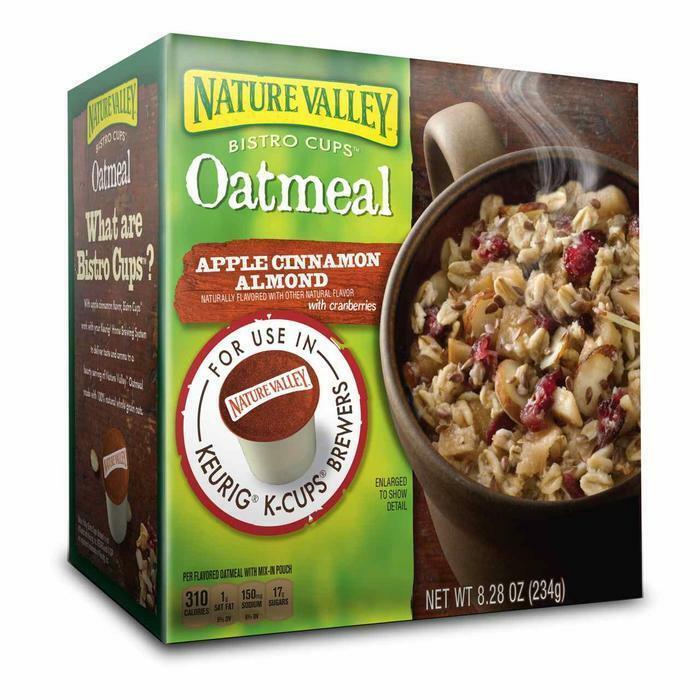 The company says that consumers are already using the Keurig to heat water for their instant oatmeal, so it thinks Nature Valley Bistro Cups Oatmeal will make the process a little simpler. Maybe so but the K-cup version will include a packet of oatmeal, another packet of nuts and fruit and a flavor capsule that is mixed with the oats when hot water filters through the machine. Is that really so simple? We'll see, I guess. General Mills says large packages of Bistro Cups will go on sale this week on Amazon.com, with smaller packages arriving on supermarket shelves in the fall.